Our accumulated experience in the field of anesthesia represents over 50 years of dedication to excellence in manufacturing, training, and post-sales service. 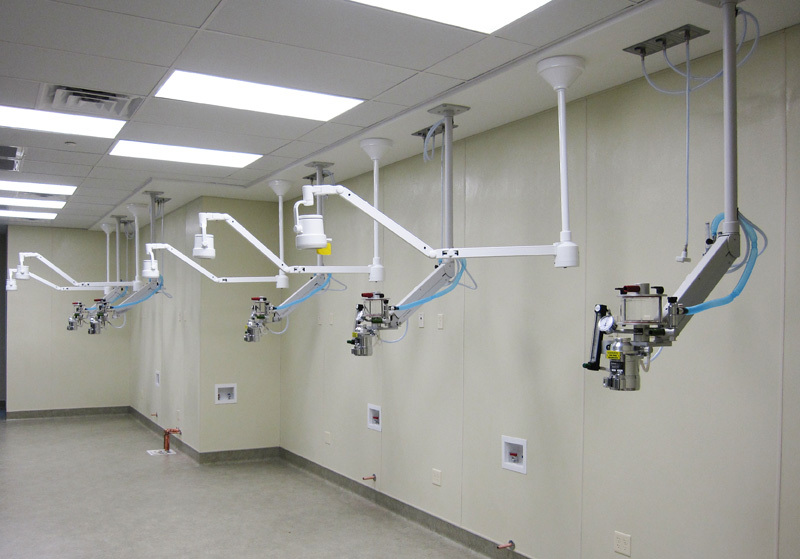 JD Medical manufactures both large and small animal veterinary anesthesia machines. Our 40 years of experience in the field has established us as the leader in large animal anesthesia and ventilation. Our reputation of post-sales service sets us apart from any competition with emphasis on custom modifications for special needs. We presently have worldwide distributors in place to service local requirements. One of the major issues facing veterinarians today is the clutter and tripping hazards present in operating rooms caused by the increasing amount of equipment and the cables and hoses they require.